Henry Holt and Co. (BYR), 9780805088830, 40pp. Birdy starts every day by smiling at herself in the mirror. She says you can smile while doing just about anything--brushing your teeth, taking out the garbage, or eating broccoli. Okay, maybe not while eating broccoli. Even people with bad teeth (like our first president, George Washington) should show their toothy grins because there's no such thing as a bad smile. 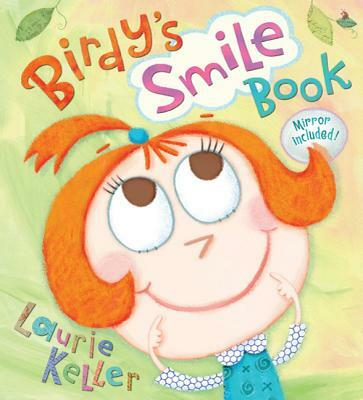 So heed Birdy's advice and practice your smile—you'll need it while reading this book!